Hi everyone and thank you for visiting! Hope you have all survived the holiday season and are feeling ready for a new year of stamping and crafting! 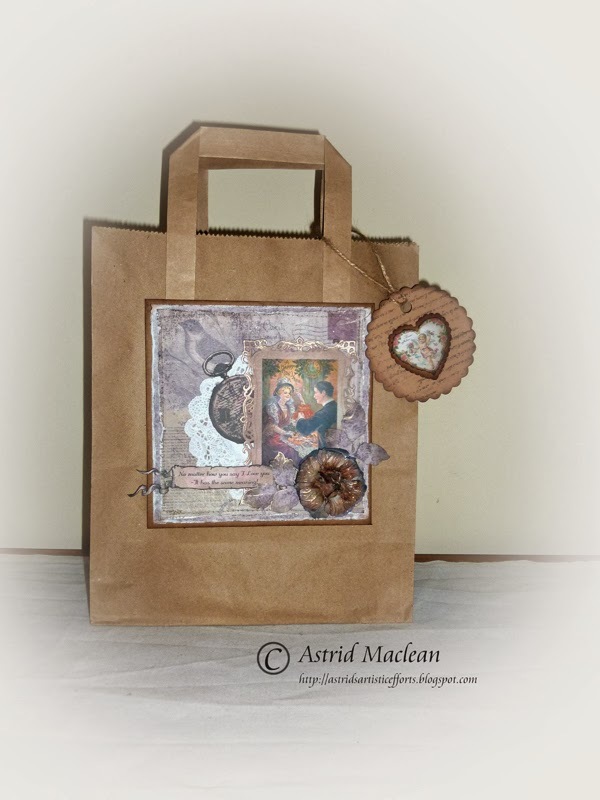 Today I am sharing an altered gift bag with you. 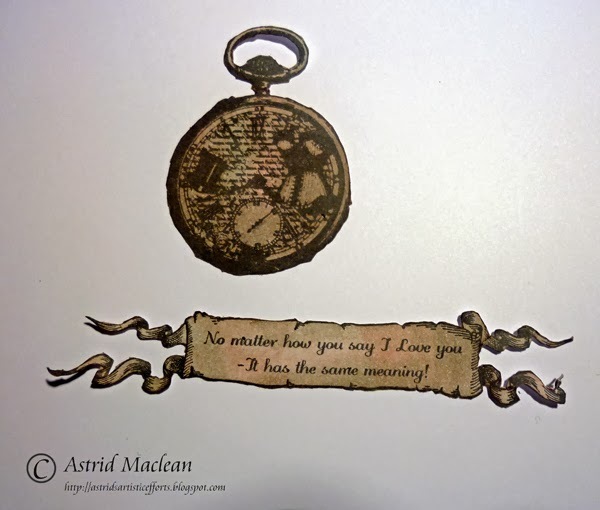 This could make a super gift for Valentines day. 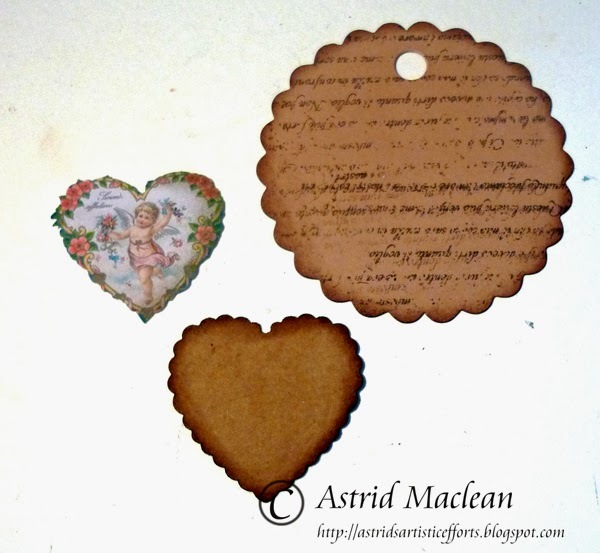 As you may have seen in a previous post, this month we are doing a cross promotion with Altered Pages who do amazing collage sheets. So for this project I have not only used SinCity Stamps but also some collage sheets that we were given to work with. 1.I started by cutting designer paper to 5 3/4 by 5 3/4 and 5 1/2 by 5 1/2" respectively and sewing them together with my sewing machine. 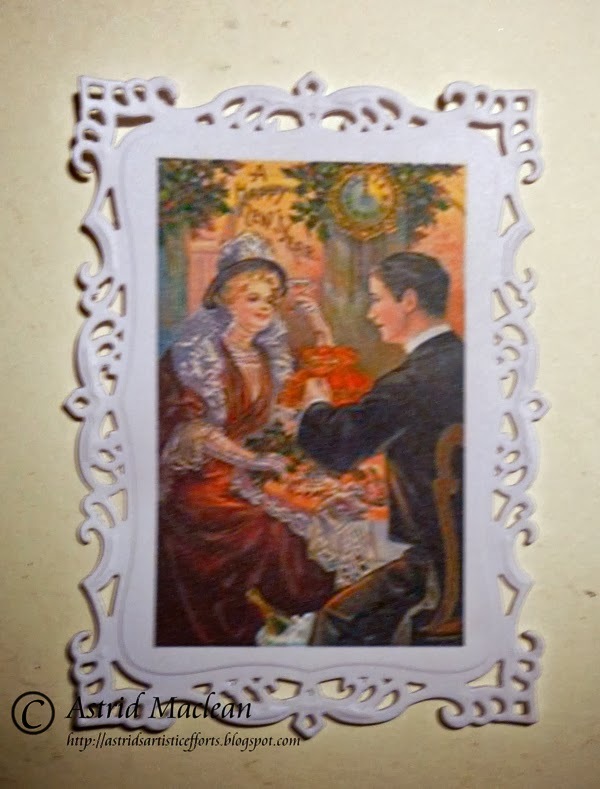 (They could of course just be glued together).I distressed the edges and adhered them to my piece of 6 x 6" Kraft card. This was to become the vocal image of my altered bag. 3. 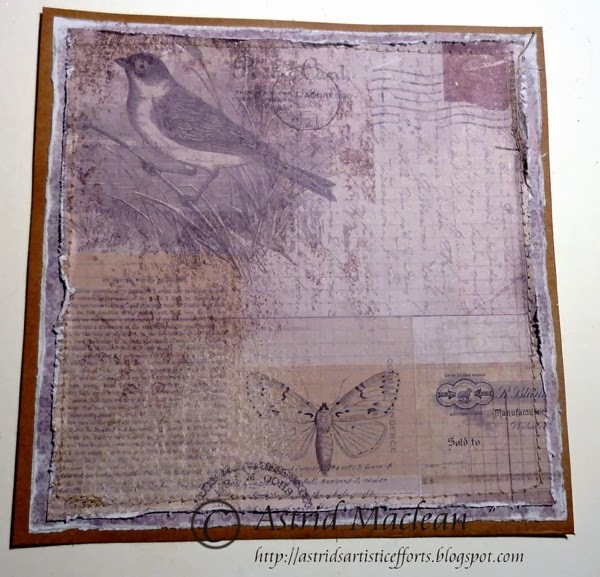 I stamped my chosen stamps on white card and cut them out, ready to layer around my image. 4. I coloured both them and the frame of my main image with my chosen Distress Inks to bend in with the background papers. 6. Then I decided I also wanted to make a matching tag. 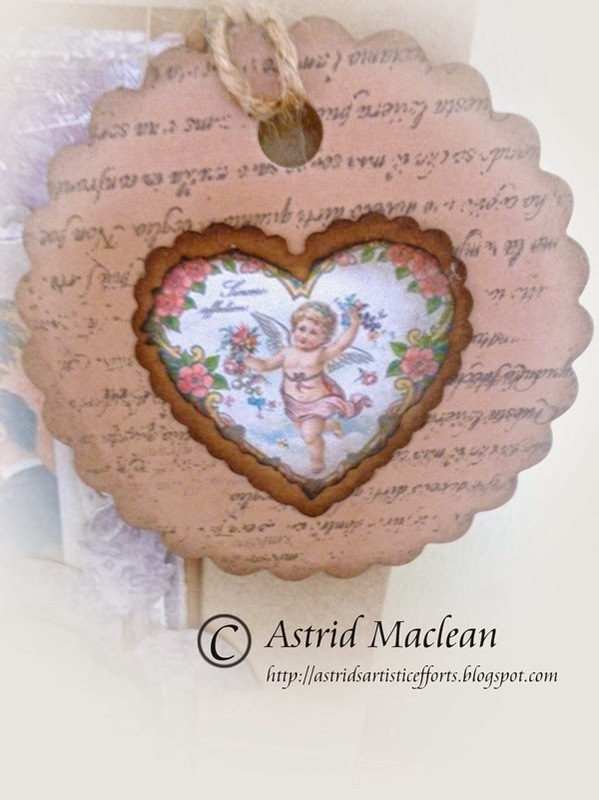 So I chose another little collage image, cut it and mounted it first on a scallopped heart and then a round little tag from my stash, which I had stamped first with a text stamp. And that was it. Quick and simple and adaptable of course to whatever images and papers you have available. Thank you for visiting and I hope you like my gift bag. Do check out the wonderful stamps SinCity have available and don't forget to check out Altered Pages as well, they have hundreds of amazing sheets suitable for so many occasions, you will be spoiled for choice. What a lovely vintage bag. Love al yhe little details!! Love your bag Astrid! Great Job! 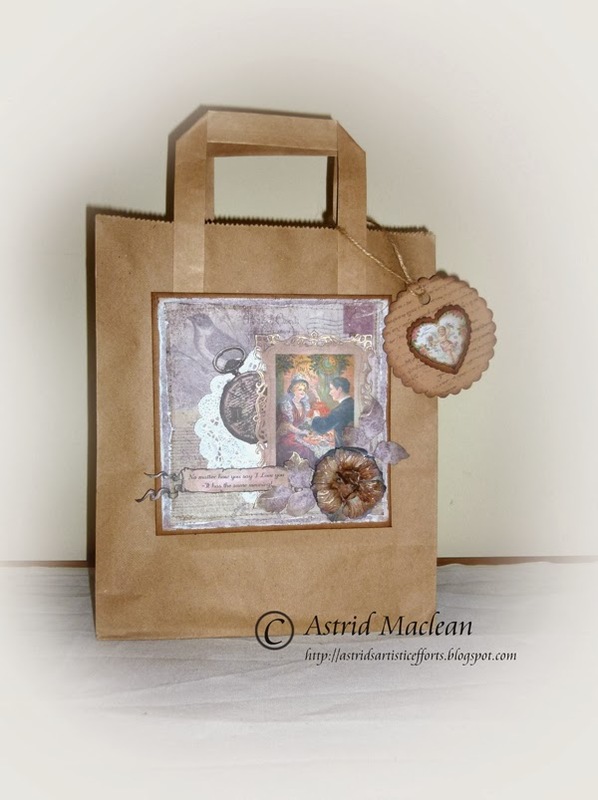 Beautiful gift bag, Astrid. I would love this no matter what time of year or occasion. Always amazing work. Awesome gift bag, I love your vintage look in this My gift bags will be great this year. Thanks for sharing the great products. 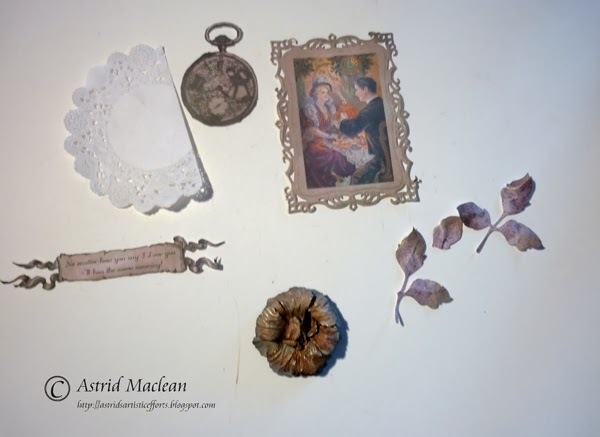 Astrid, you are so creative, just love the gift bag and thanks so much for doing such lovely, creative and inspiring projects to share with us. So many beautiful elements to this bag and I like the addition of the tag. 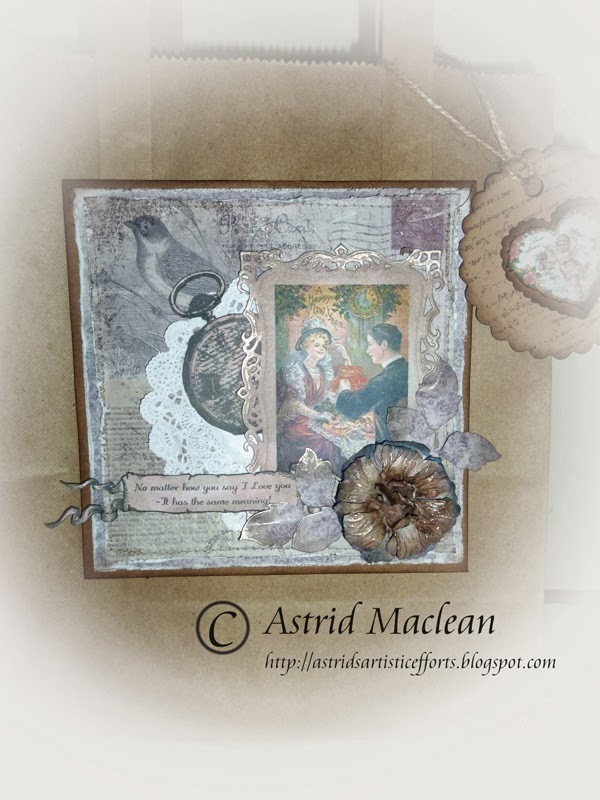 This is a wonderful piece of collage art Astrid, so pretty! 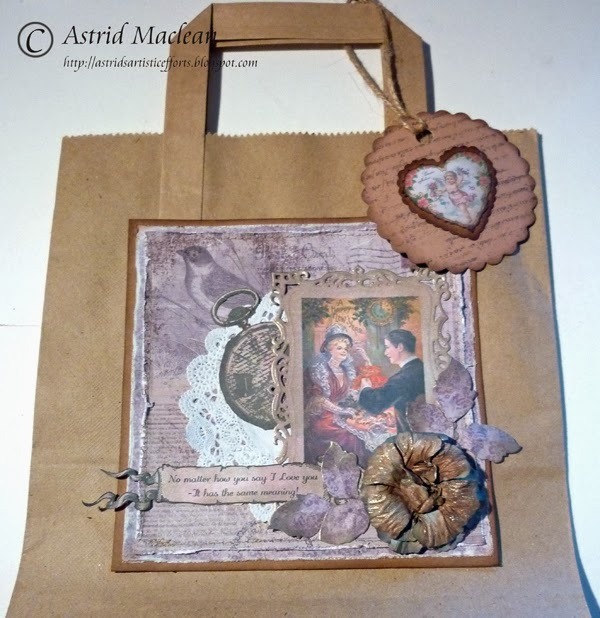 Delightful collaging of the different elements to create such a pretty vintage gift bag - lovely work, Astrid!